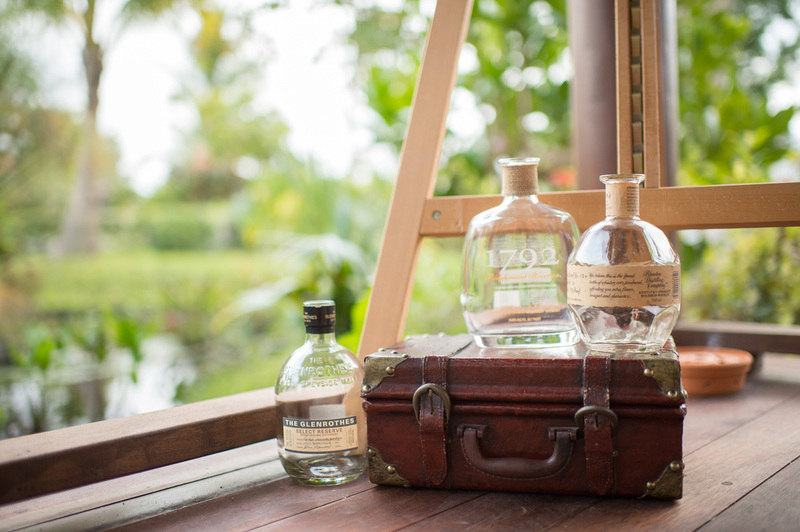 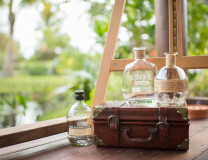 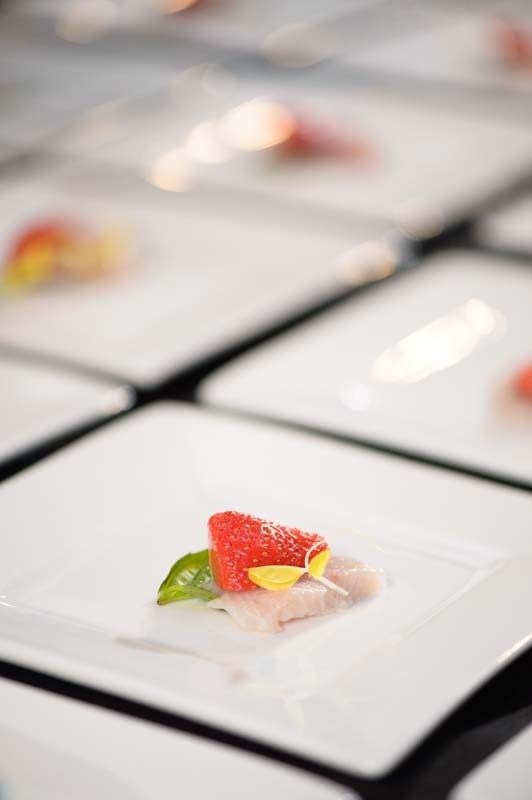 We invite you to indulge your senses as you browse through our latest work. 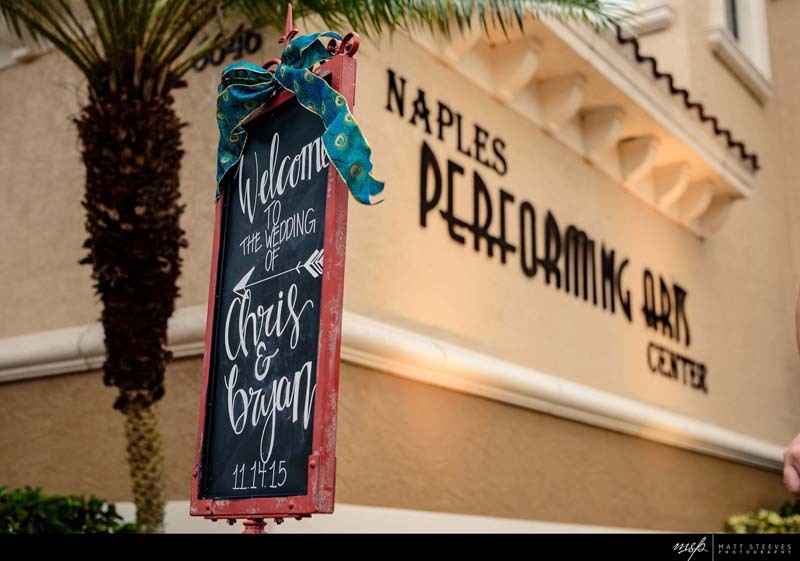 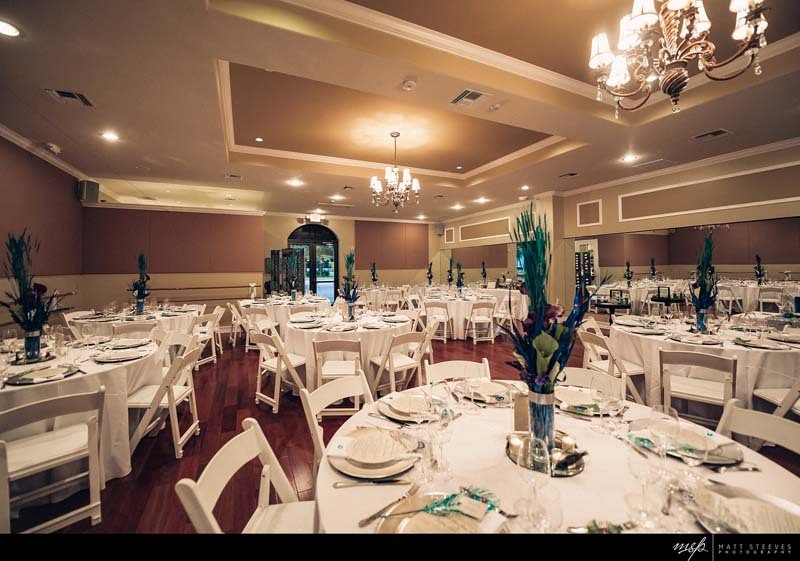 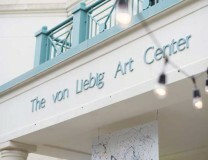 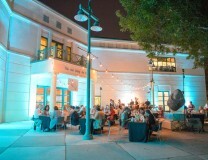 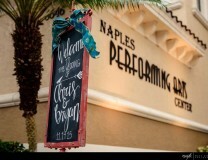 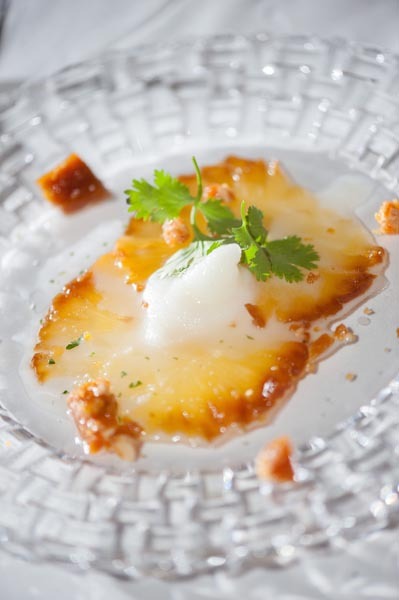 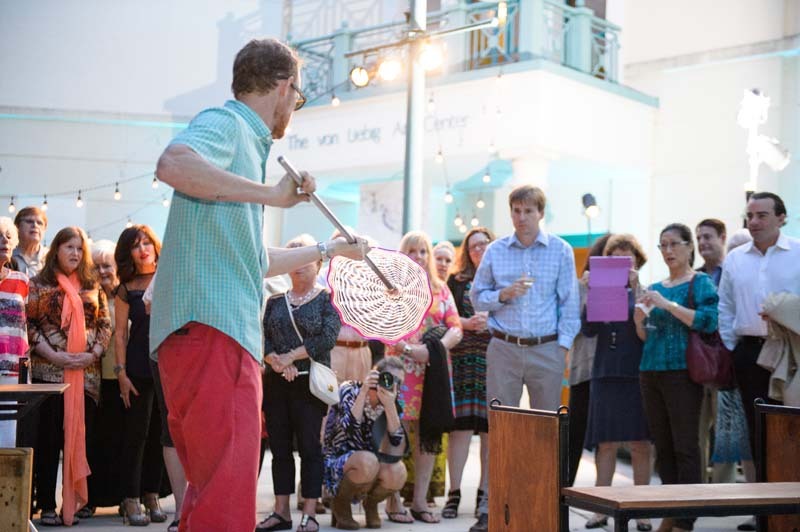 Event: “Dinner with Artists” at the Naples Art Association art center. 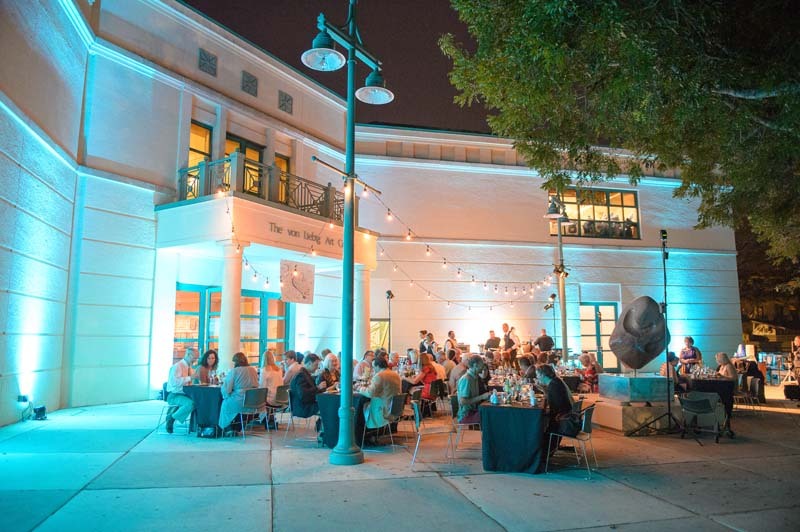 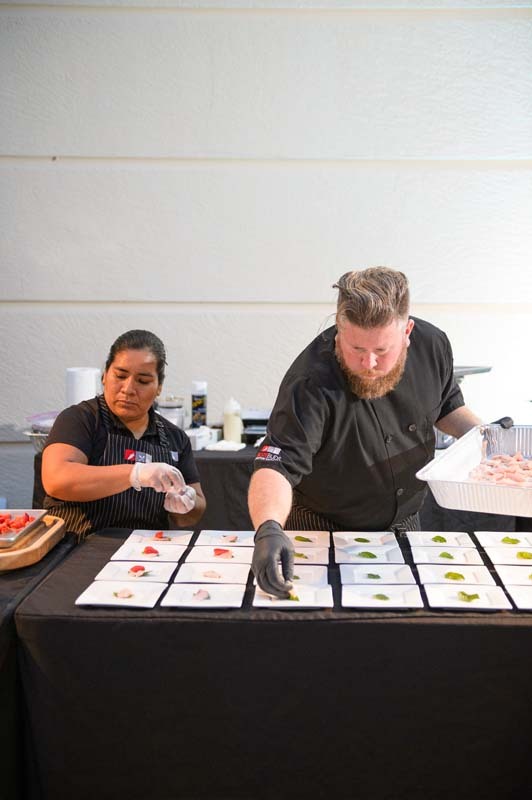 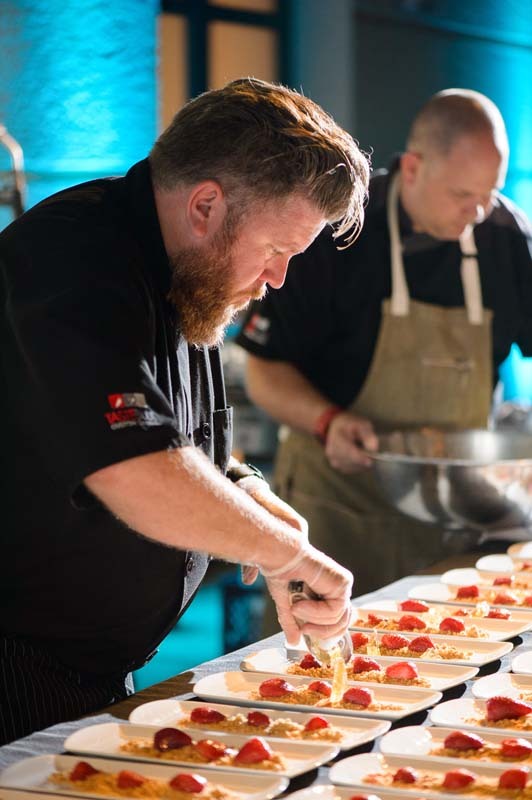 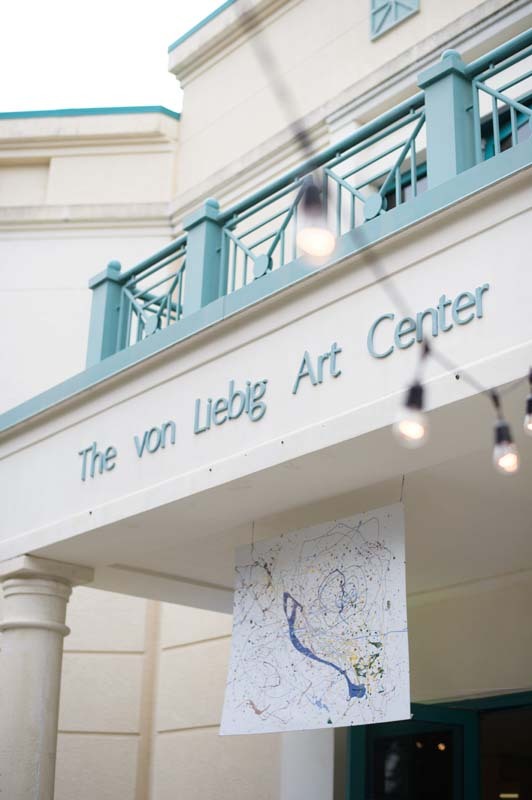 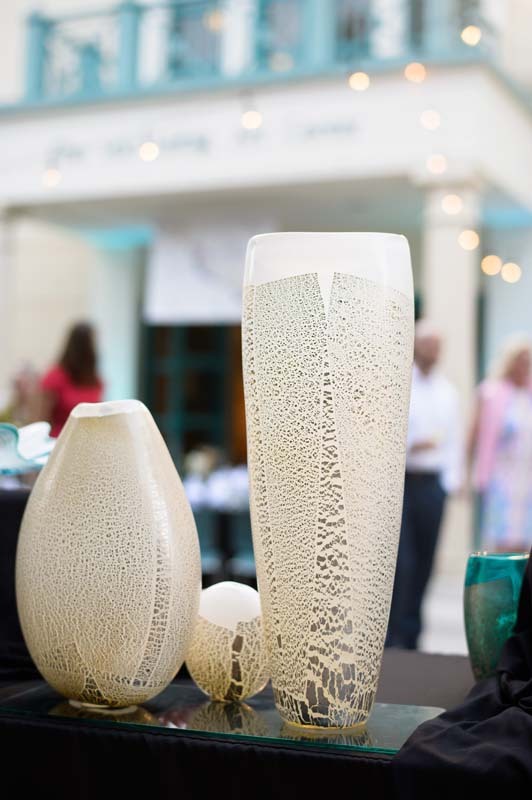 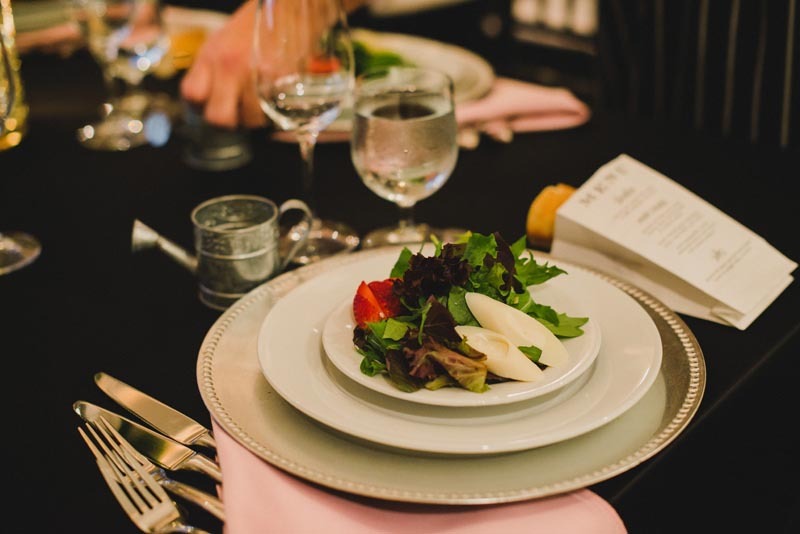 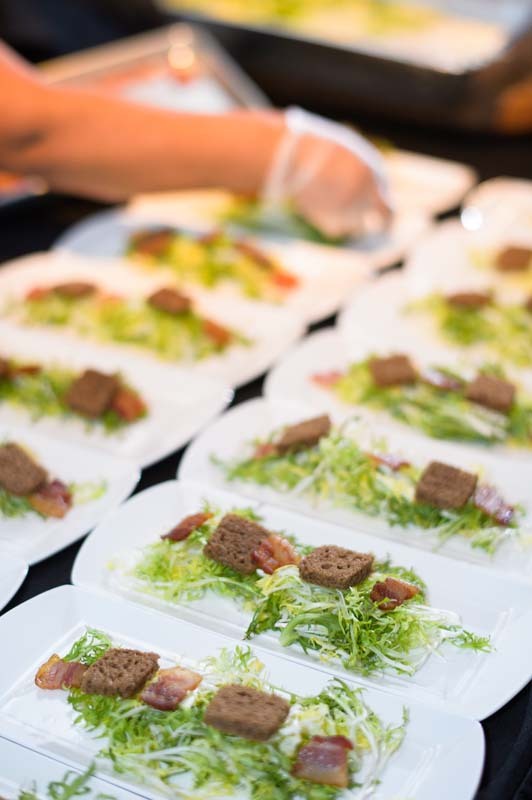 The Naples Art Association invited us to be a part of their popular dinner series, “Dinner with Artists.” The dinner series raises awareness of the work between inspiration and art to showcase the level of local talent, both visual and culinary. 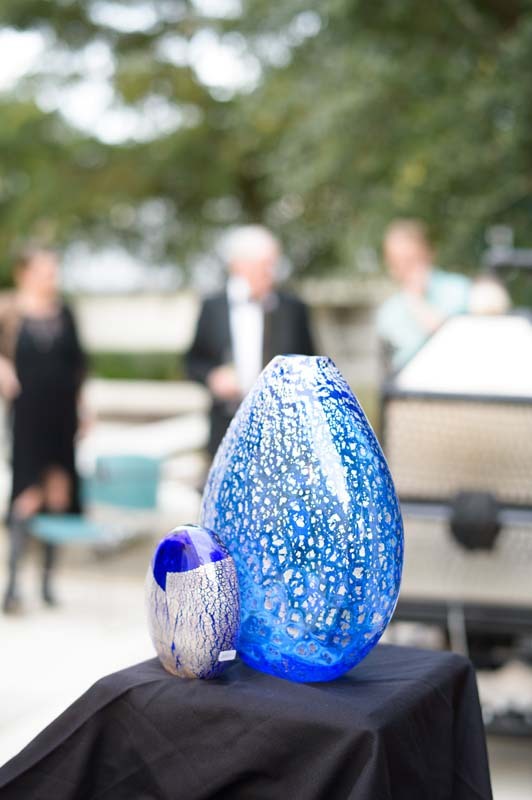 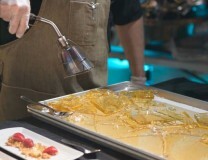 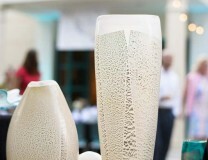 February’s event featured glassblowing artist Conrad Williams and our very own Chef Greg Shapiro. 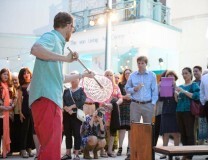 Click here to read more about the event. 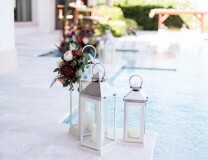 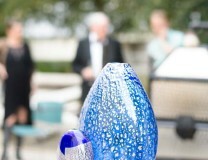 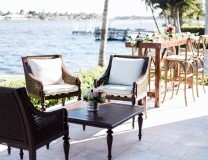 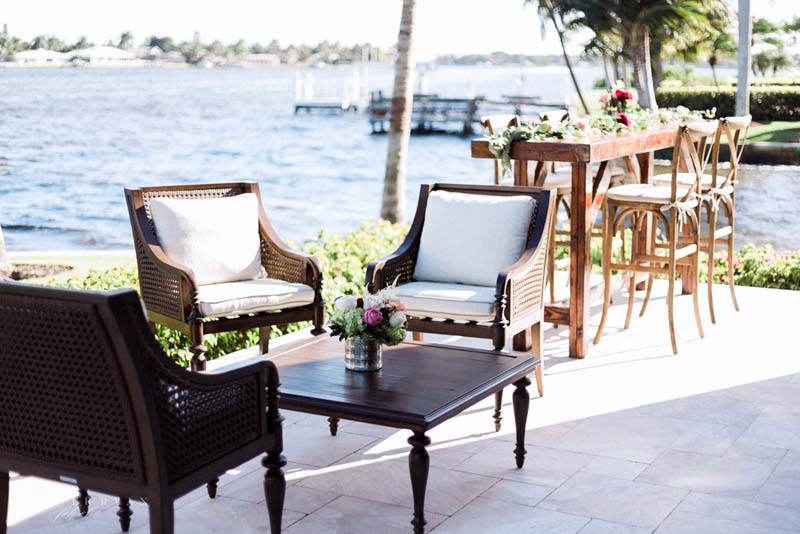 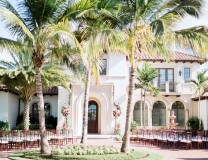 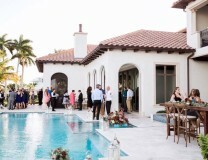 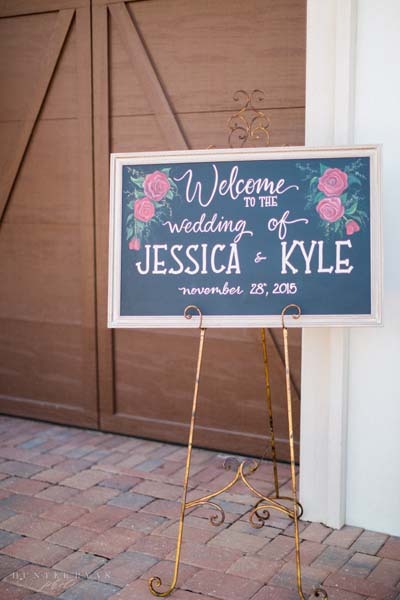 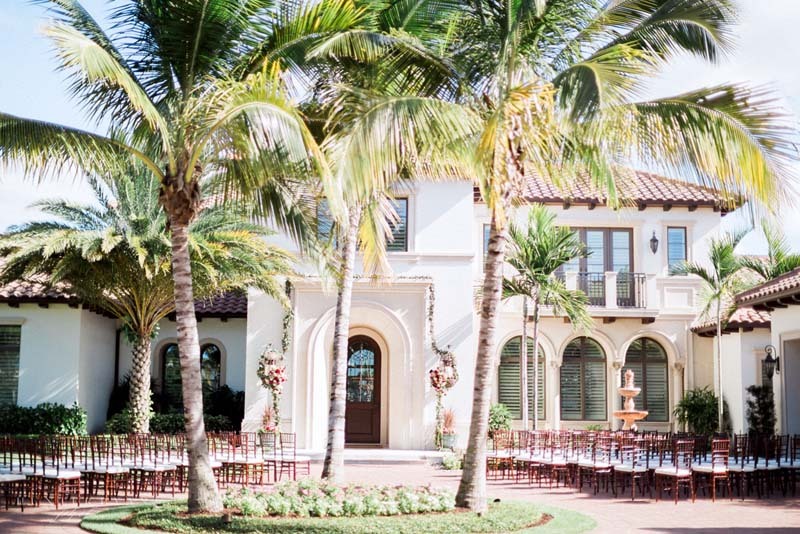 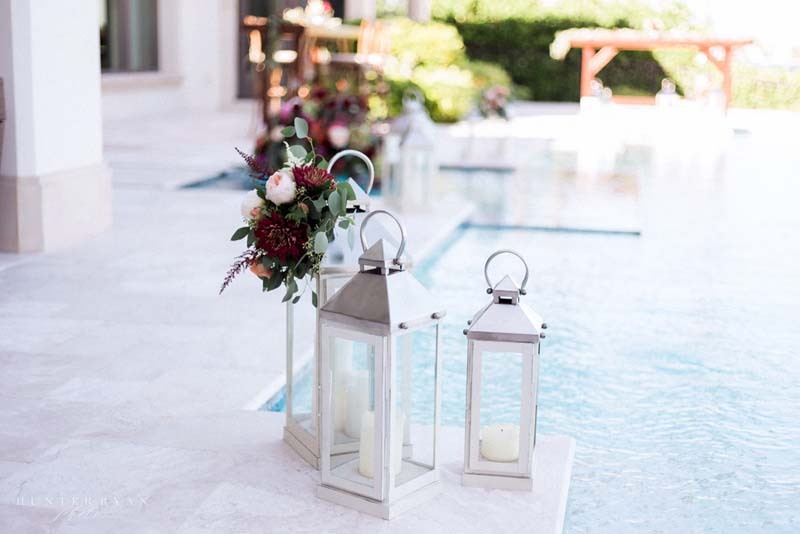 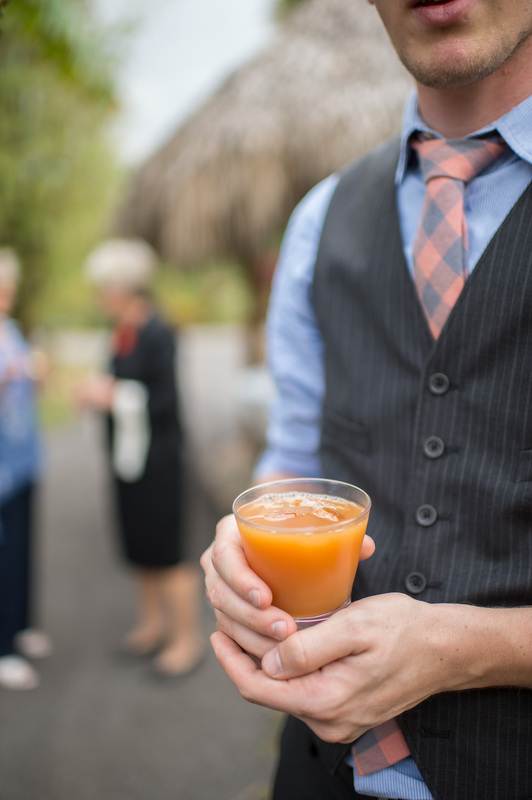 We recently hosted a lovely fall wedding and cocktail reception at a private home overlooking Naples Bay. 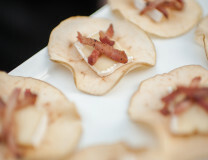 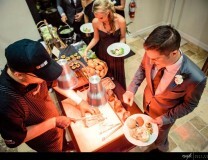 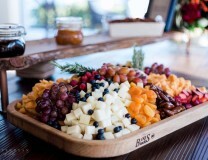 This cocktail hour featured custom hors d’œuvres served immediately after the ceremony. 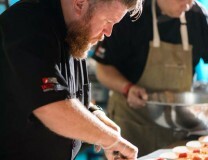 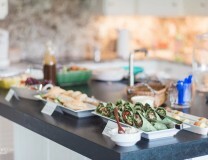 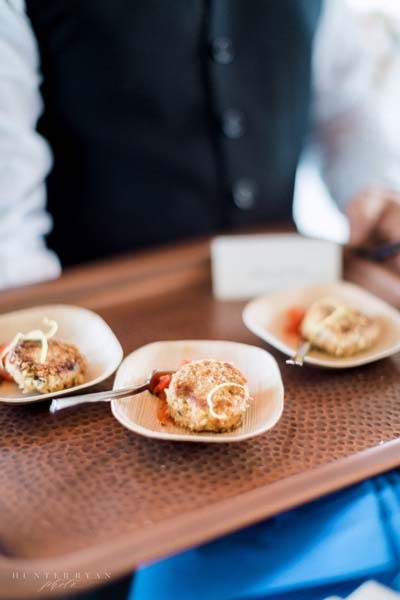 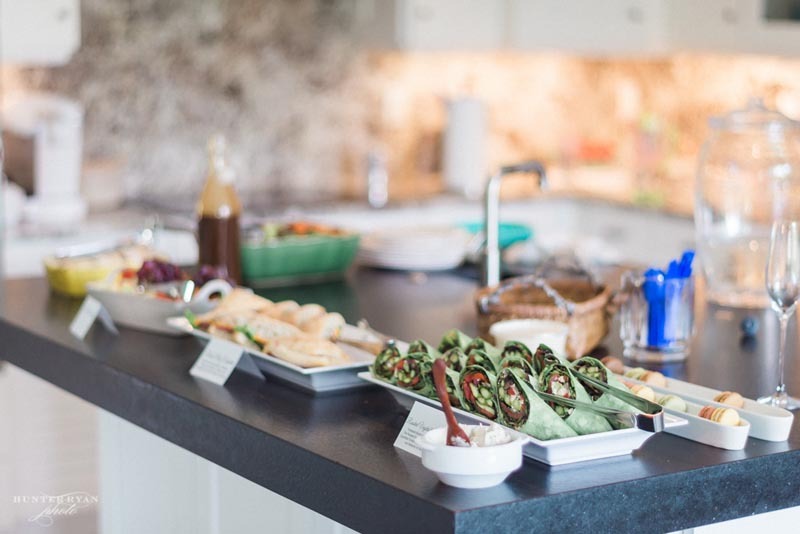 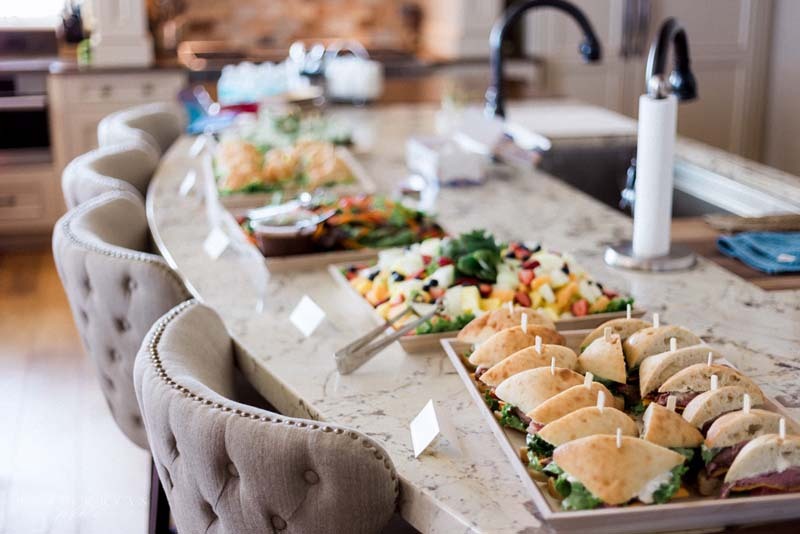 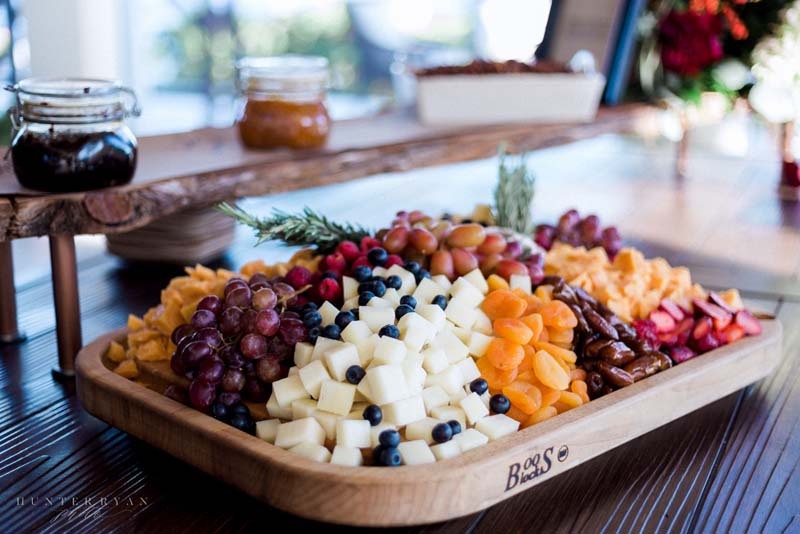 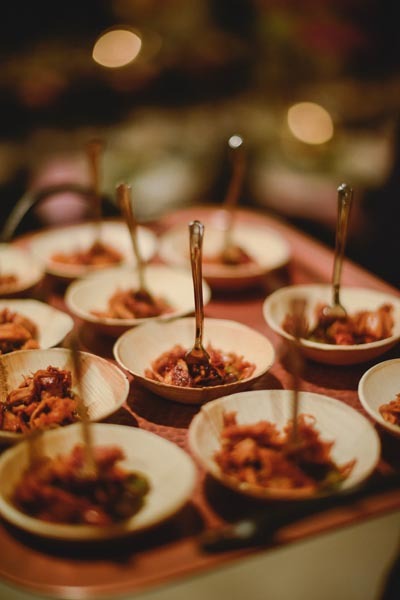 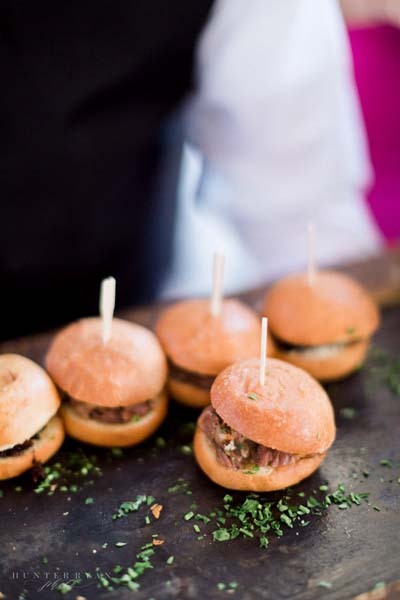 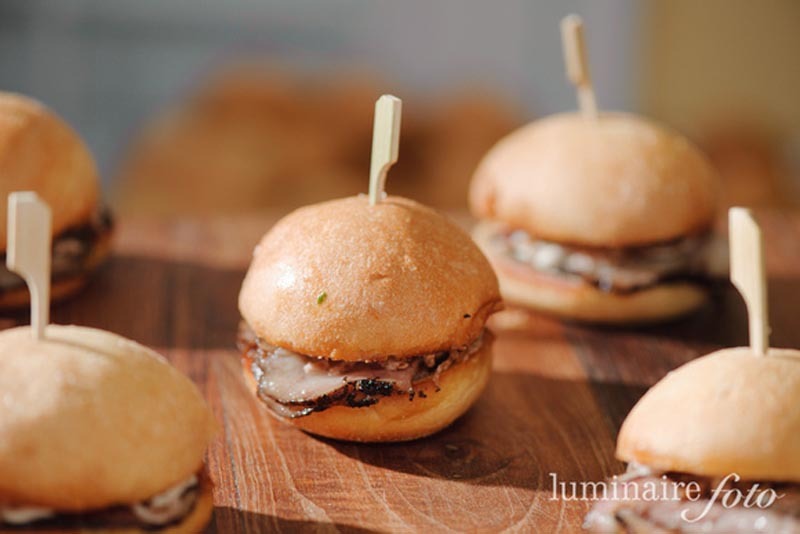 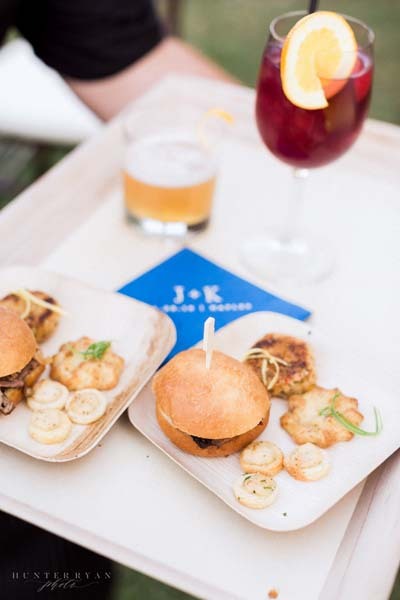 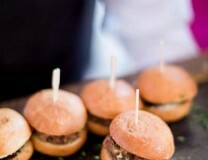 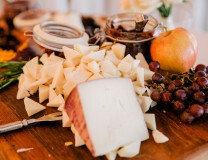 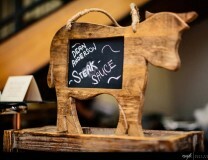 On the menu were brisket sliders, petite crab cakes and a rustic farmhouse cheeseboard with house-made jams and spiced nuts, as well as other delicious bites. 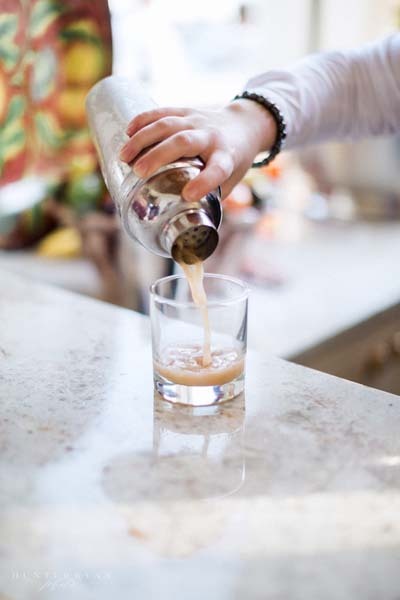 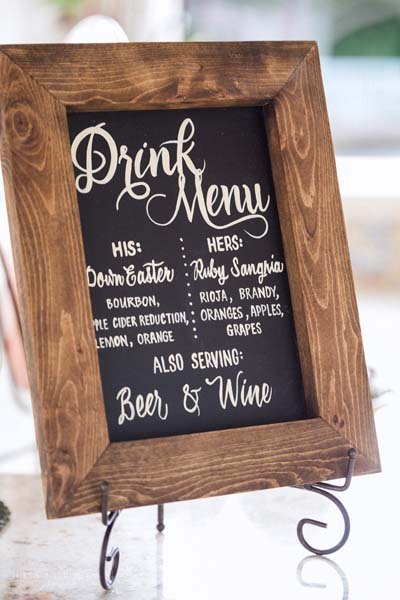 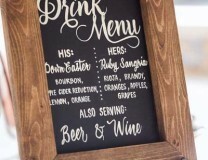 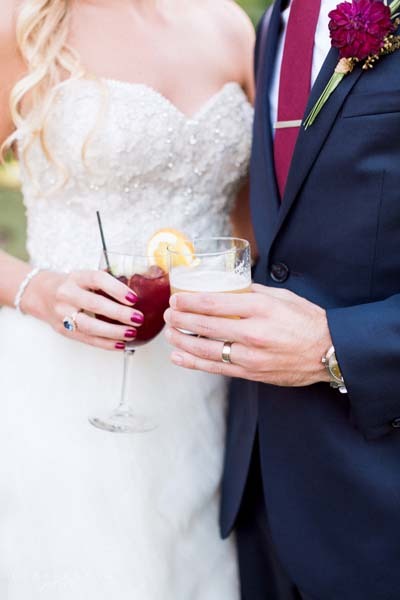 The bride and groom also offered his & her cocktails, and had a craft beer bar for the celebration. 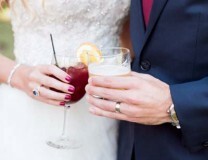 His cocktail was a Down Easter Bourbon Cocktail, and hers was a bright Ruby Red Sangria. 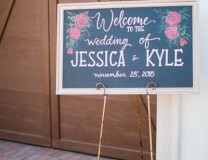 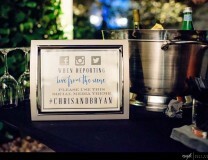 We had the honor to be a part of Chris & Bryan’s special day. 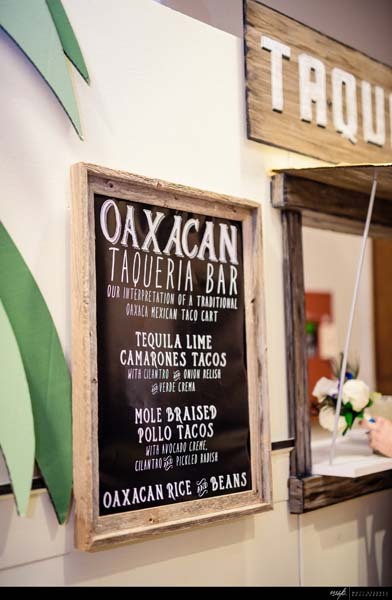 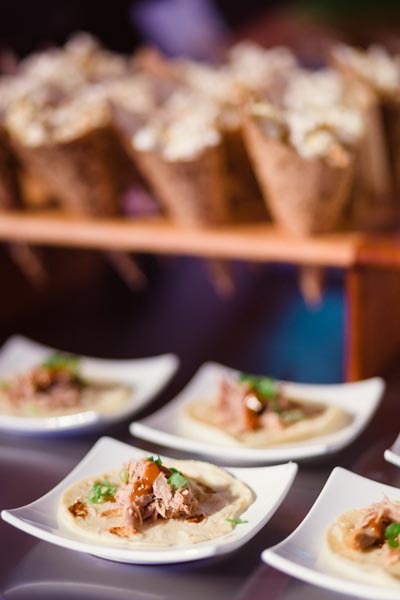 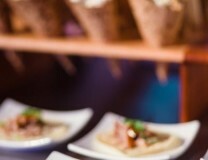 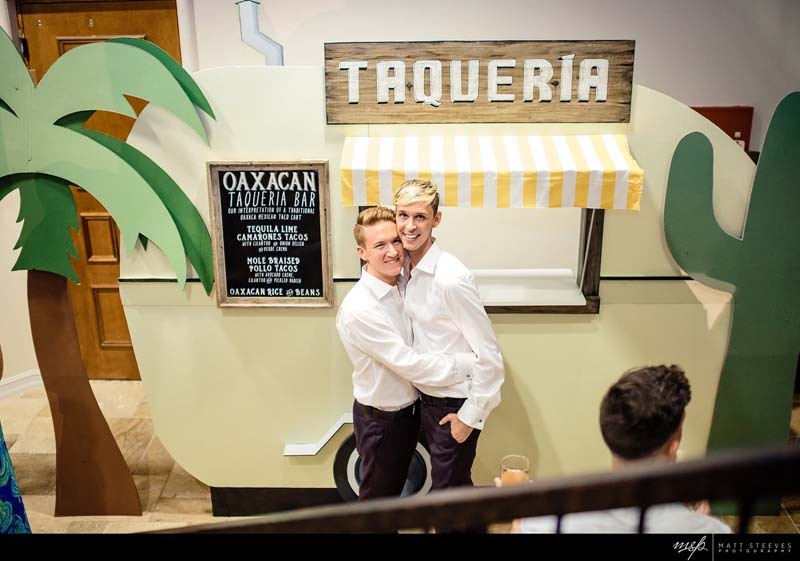 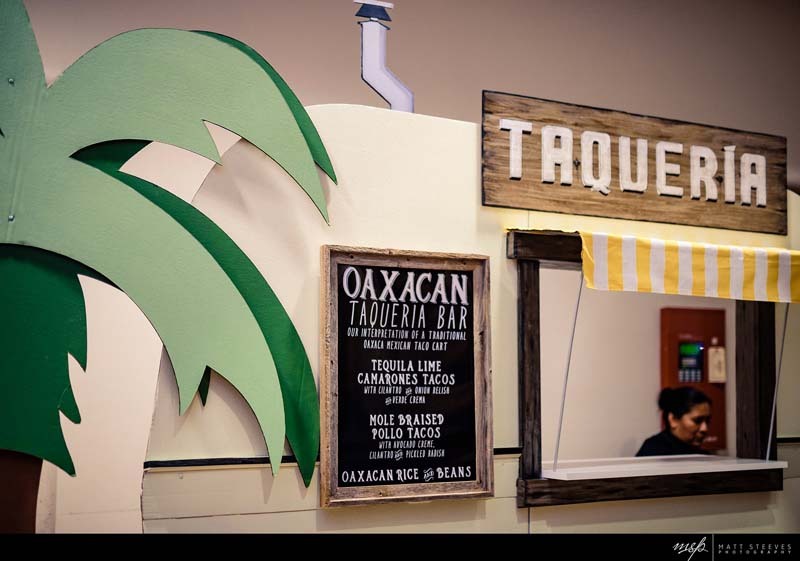 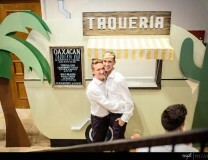 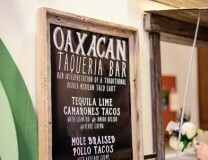 Their beautiful reception included a custom taco truck facade to give guests the experience of an indoor food truck. 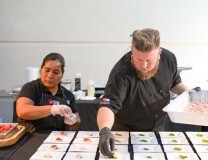 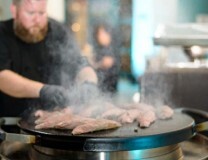 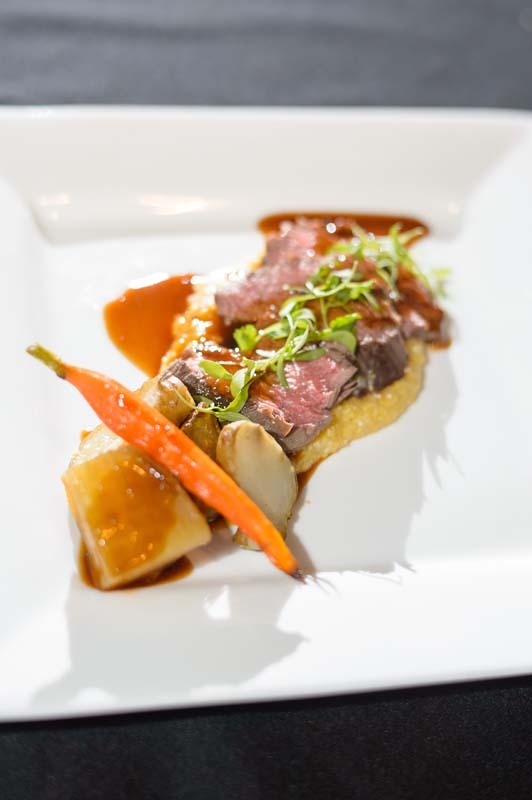 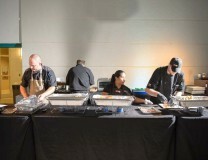 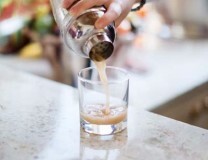 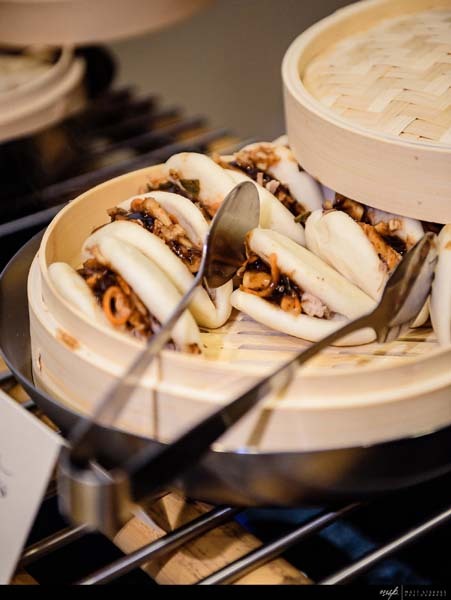 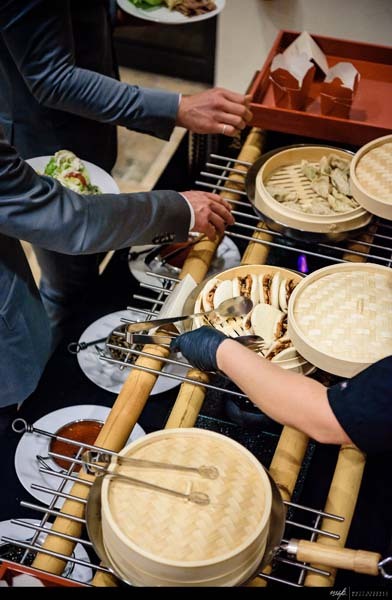 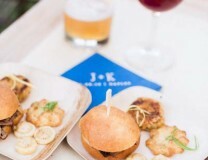 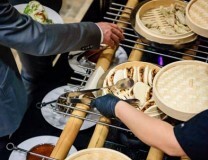 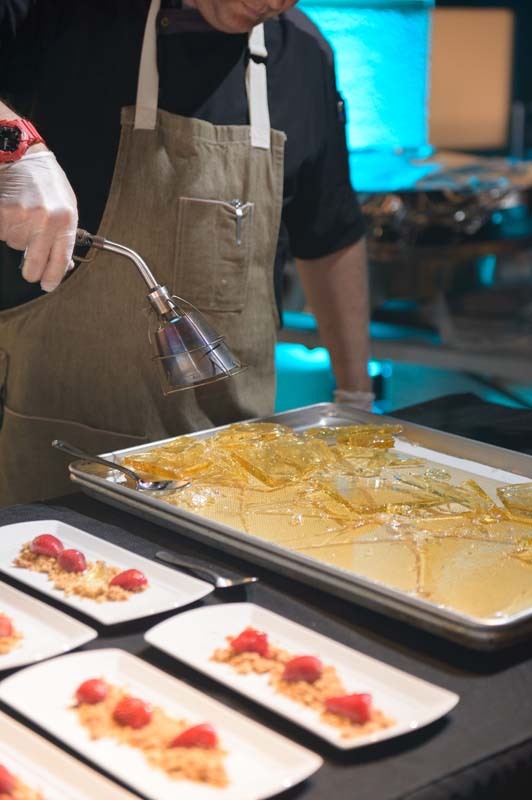 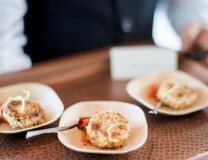 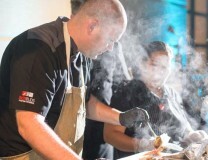 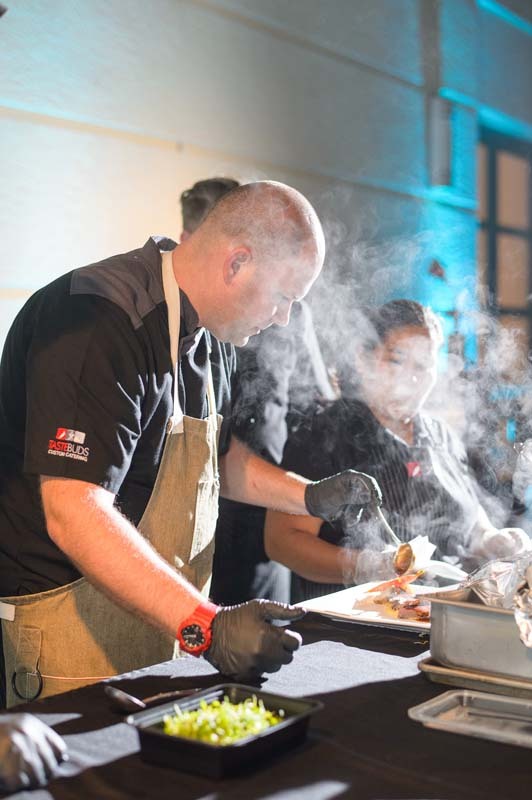 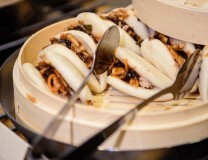 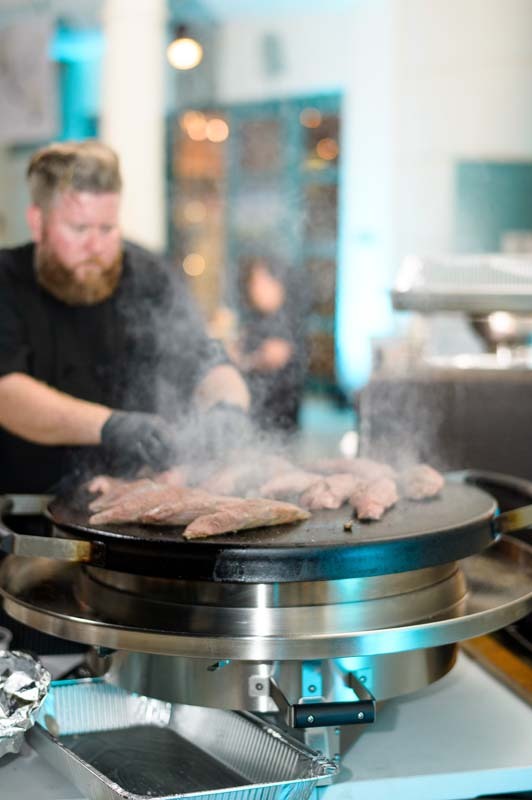 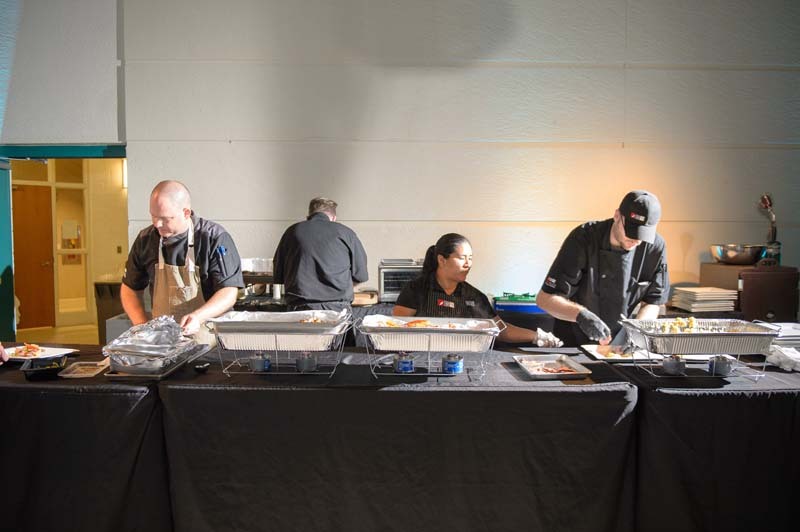 Guests also enjoyed a Dim Sum station, steakhouse station with a custom “Dean Anderson” steak sauce, southern hospitality desserts and a custom firework cocktail with Fireball whiskey. 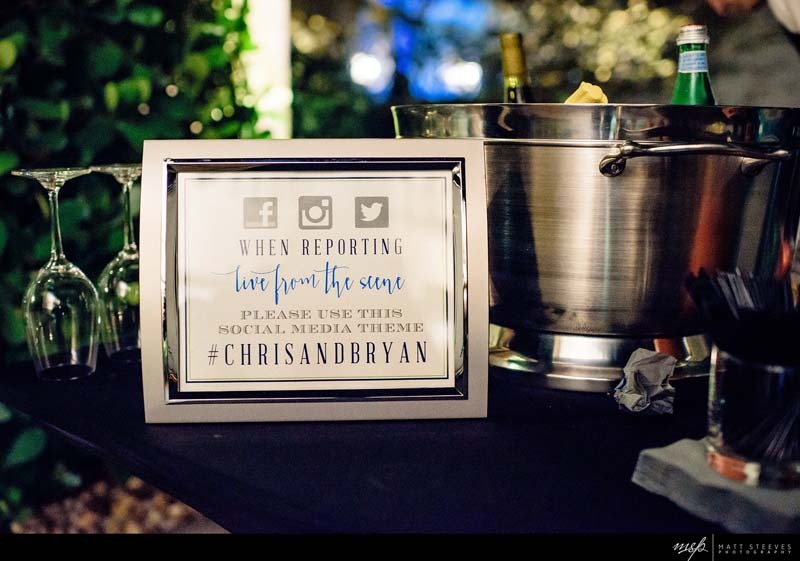 “Last night I had the chance to sit down and go back through our pictures and I was reminded once again of how one decision made our wedding the event of a lifetime. 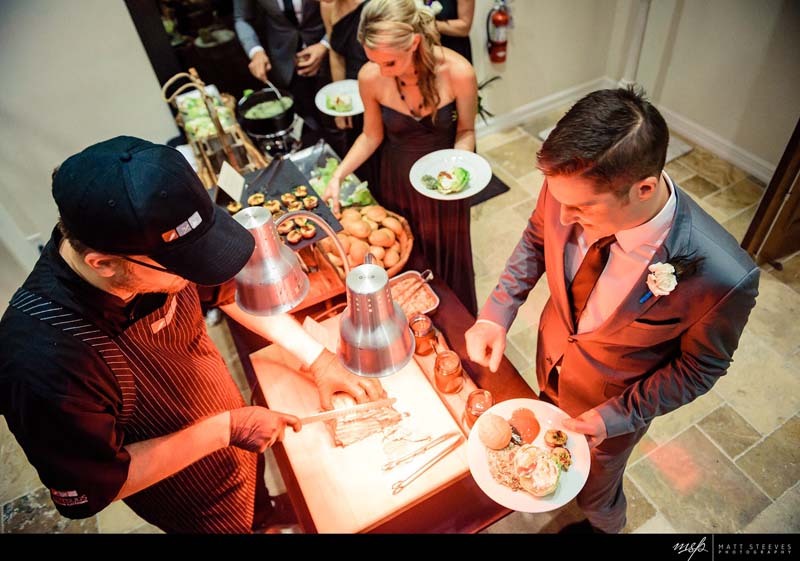 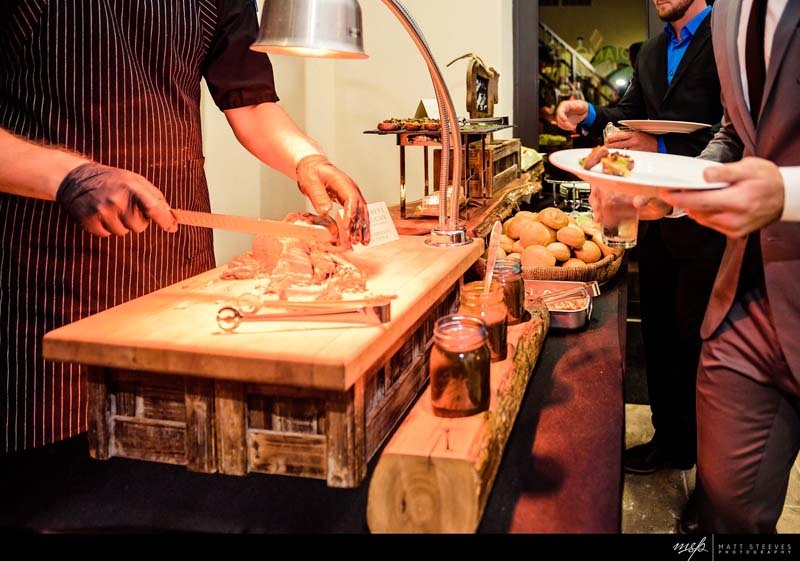 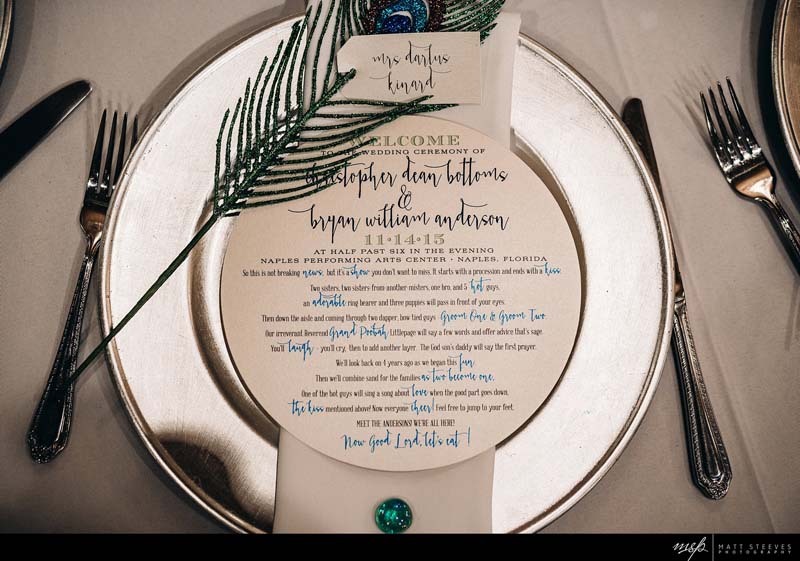 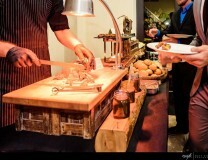 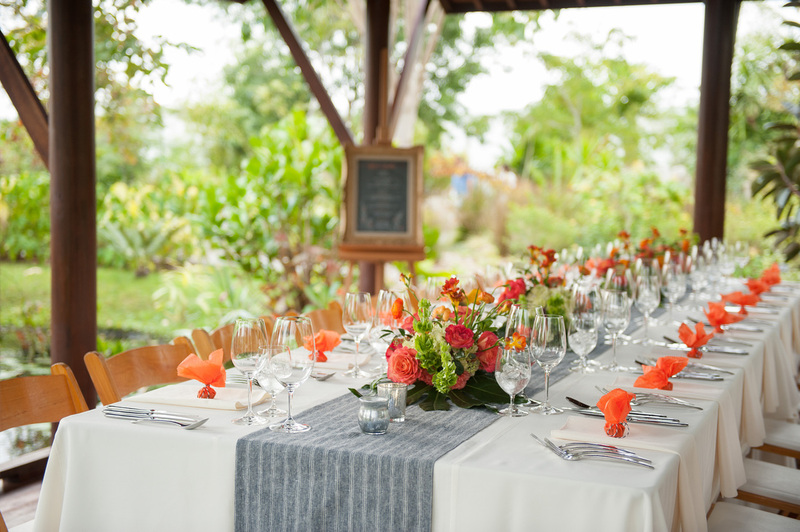 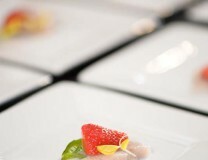 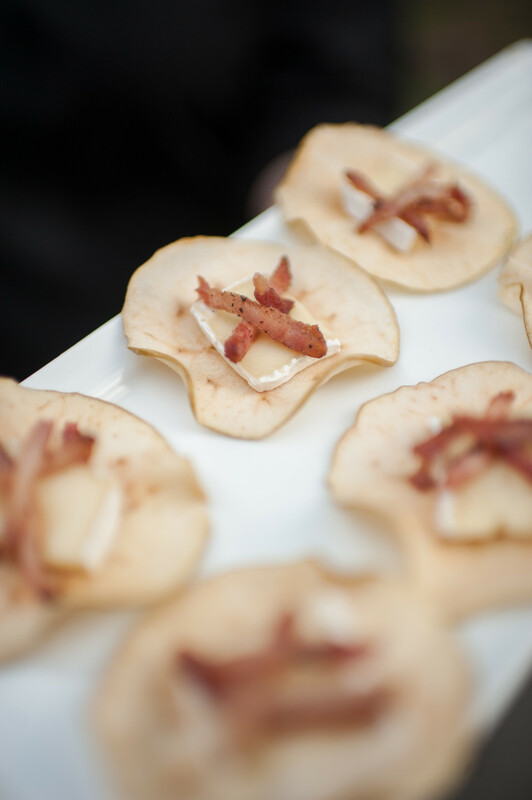 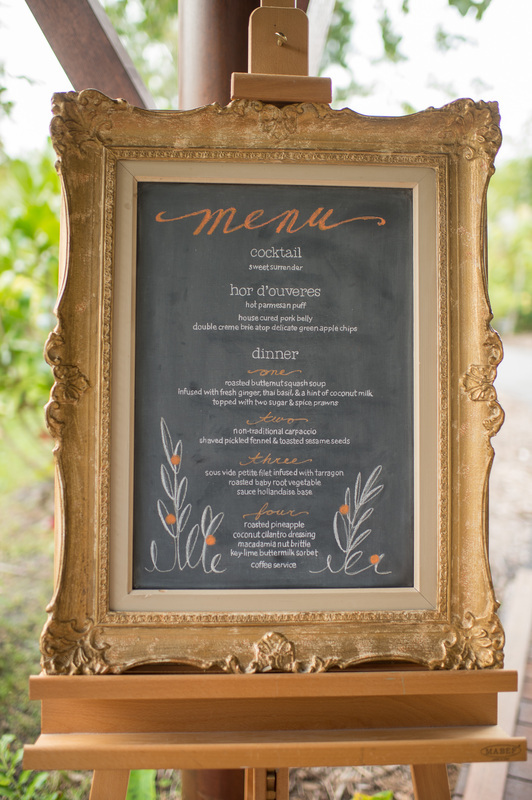 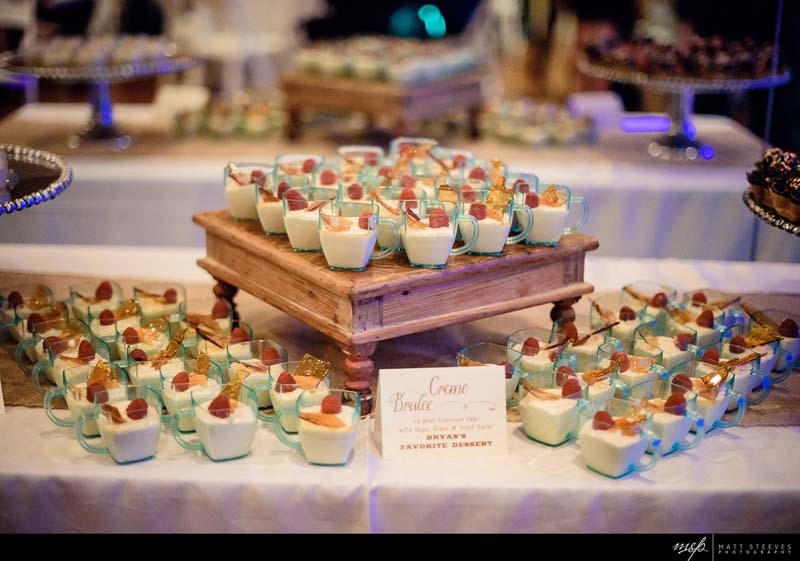 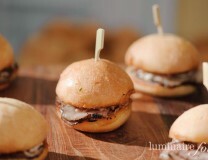 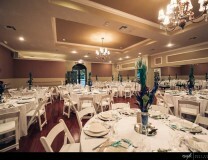 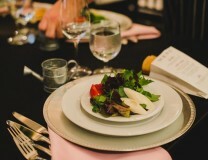 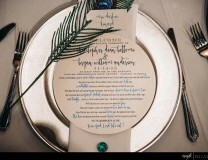 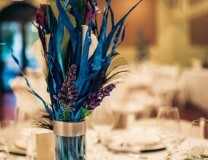 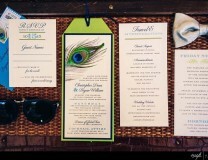 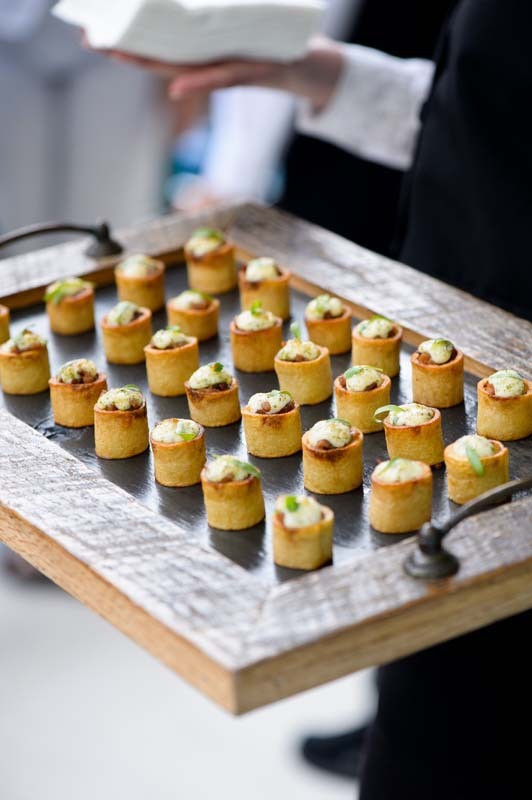 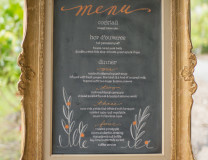 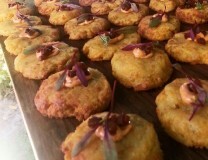 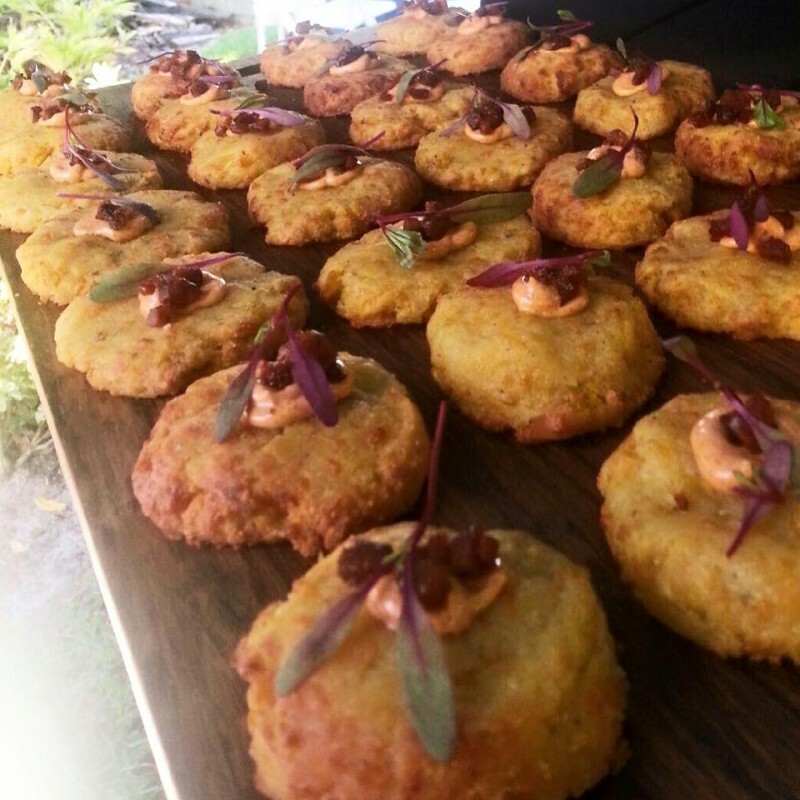 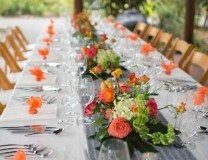 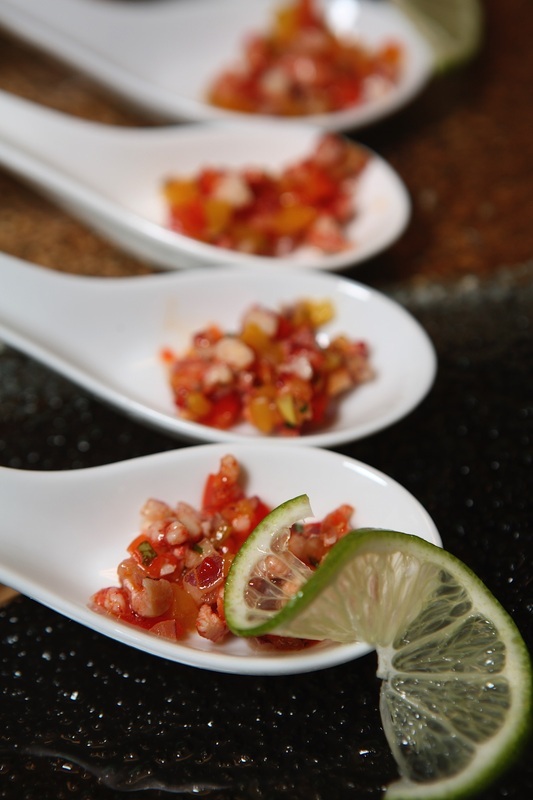 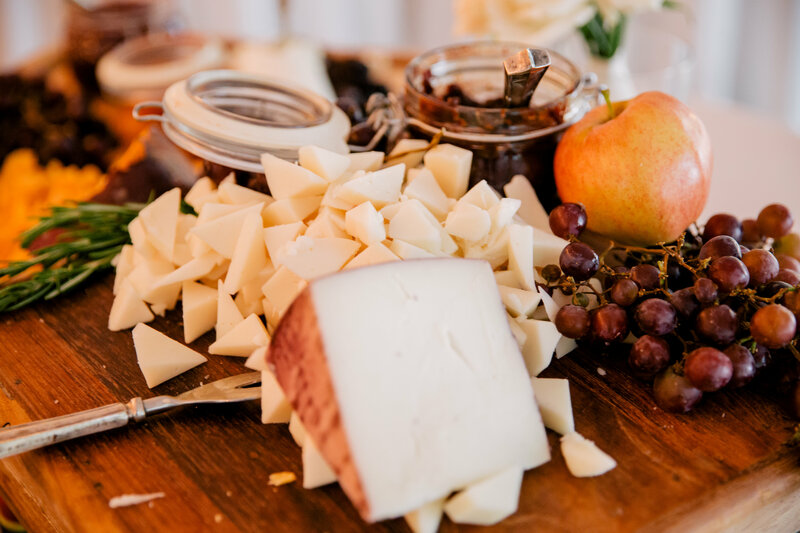 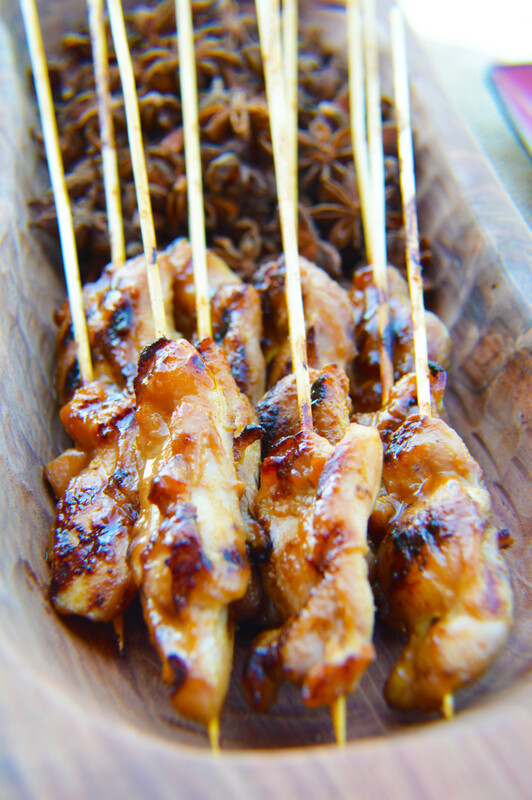 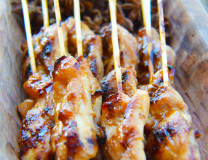 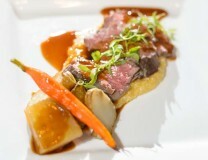 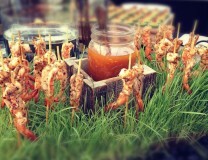 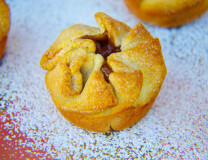 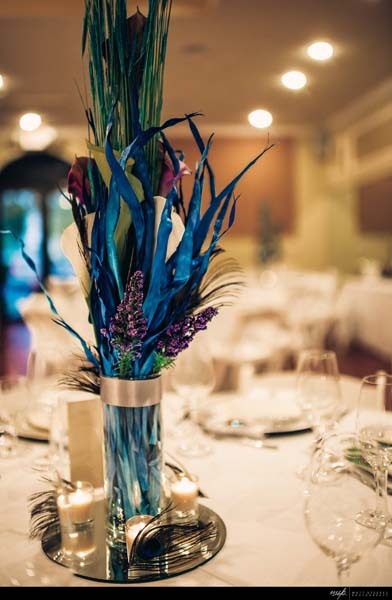 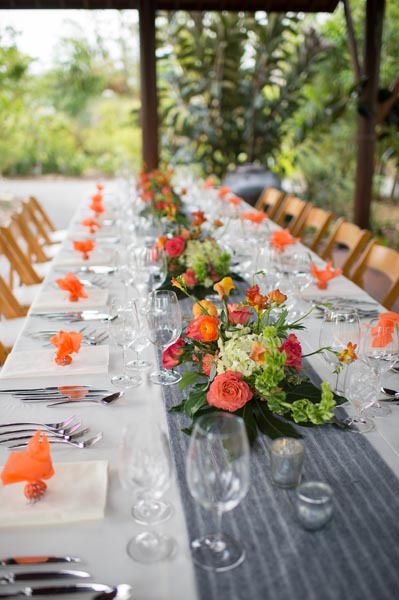 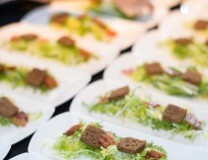 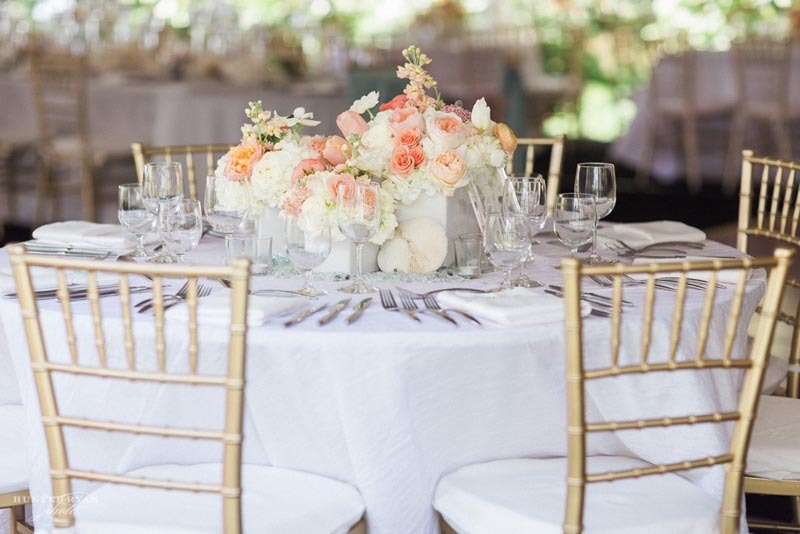 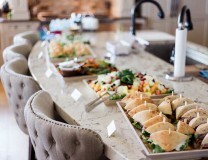 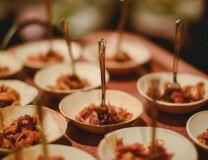 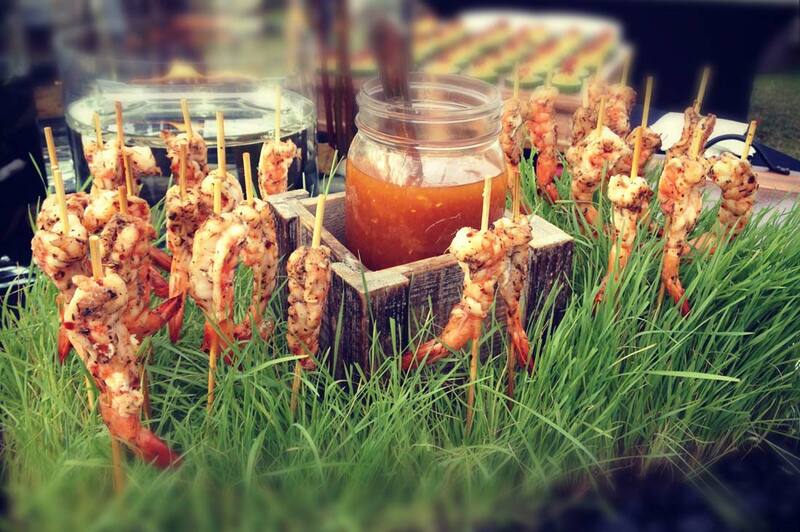 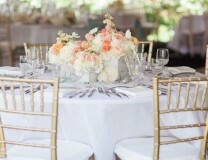 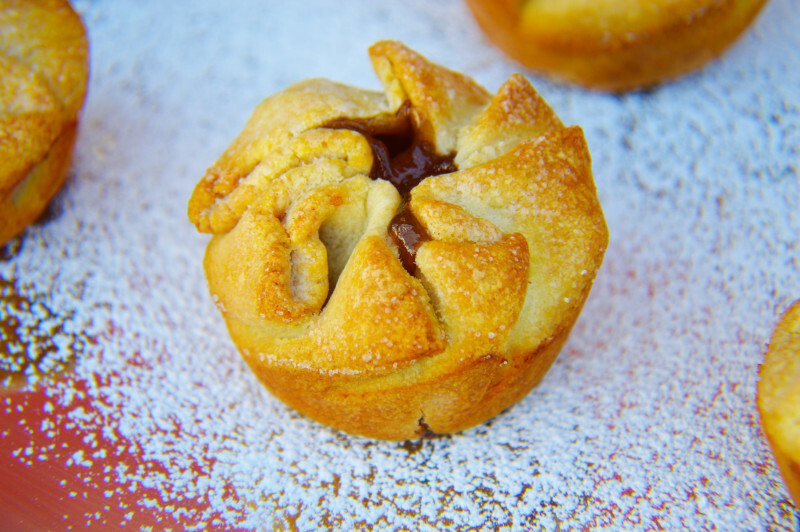 Choosing Tastebuds Custom Catering gave our wedding the wow factor we wanted. 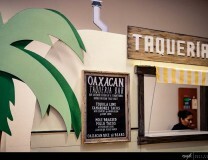 The food was amazing and everything was customized to our desires including our own Taco truck. 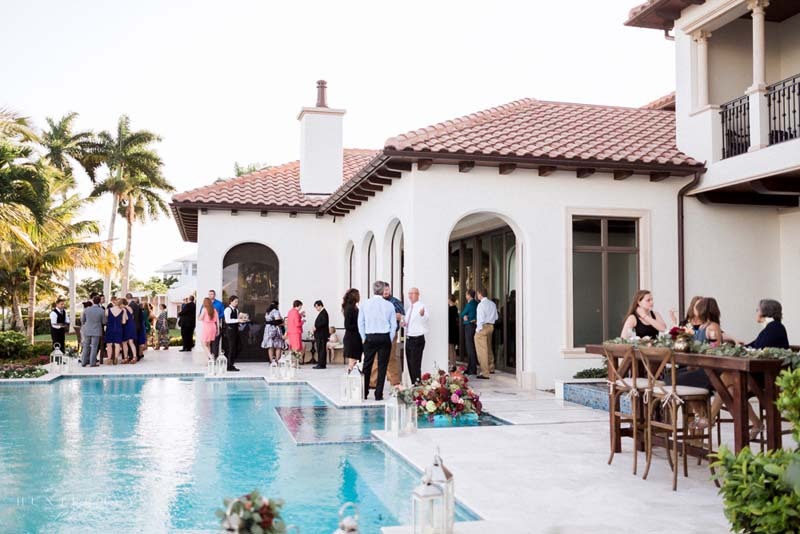 We are blessed to have found [them]!” -Christopher D.
This stunning sunset event was held in the heart of Naples, Florida. 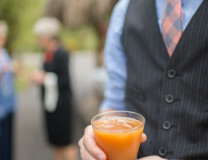 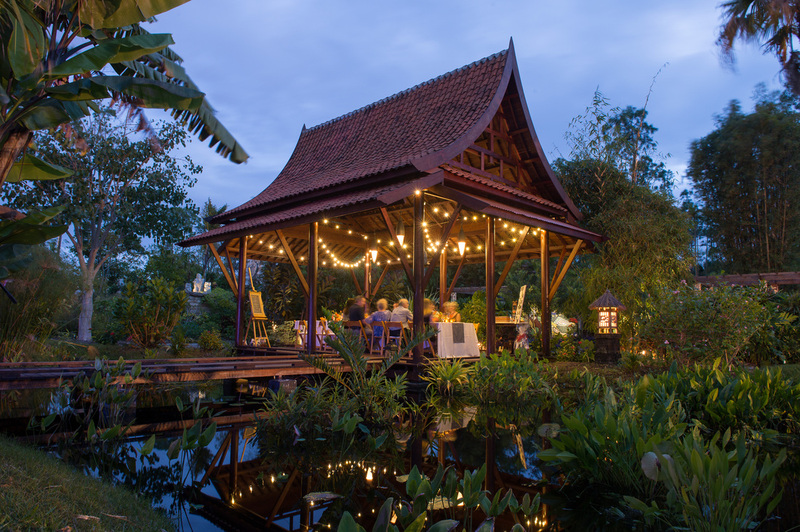 This surprise birthday party let guests roam the garden after closing with specialty cocktails and hors d’oeuvres in hand. 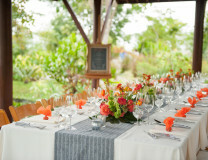 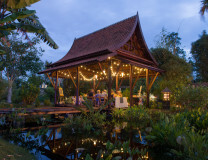 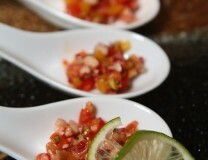 Guests then returned to the Lea Asian Garden for a private Asian plated dinner.